Inspired with luxurious and rustic design. Hardwood features and benefits of easy to clean and maintain beauty. 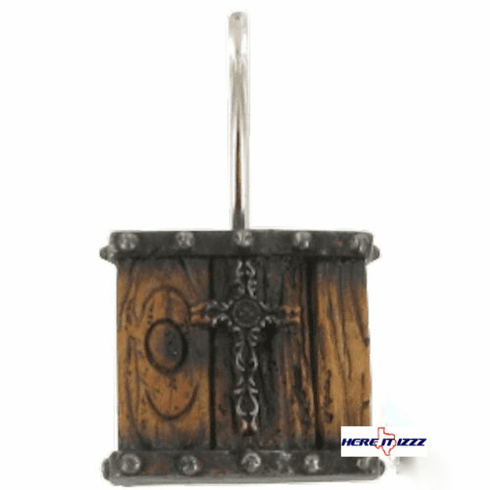 These wooden cross 12p shower hooks will liven the looks of your country or Ranch bathroom. Wood plank background with iron look rustic cross.